News – Trinity Paddle Co.
Take a quick look at the video above, and you’ll see why Hell’s Gate is so popular all across Texas. It’s pretty much made exclusively for relaxing with friends! However many of you may not know the best way to enjoy the water. It’s actually quite easy to enjoy the lake! 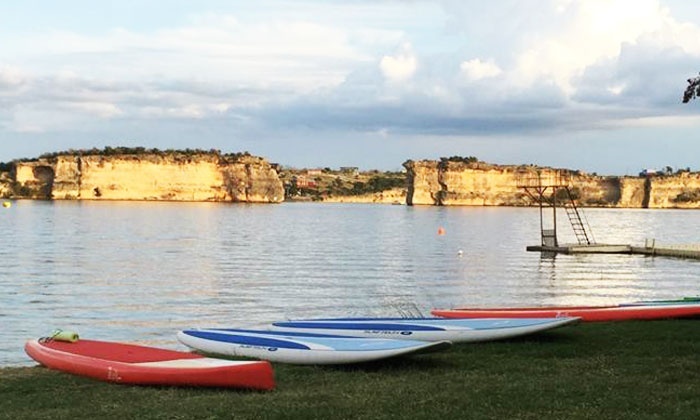 Let’s dive into a few of your options and help you plan a great summer getaway at Possum Kingdom Lake…..
There’s plenty of activities to pursue at PK (Possum Kingdom for short), but we don’t want you to get overwhelmed if this is your first trip! Here’s what we recommend you do……. Arrive Friday evening, and find a campsite available at PK State Park. You can reserve one ahead of time of course and there are also hotel rooms available at “The Cliffs” and “The Harbor.” Both resorts have marinas available too as well as restaurants. On Saturday Morning, go for a hike along any stretch of the Possum Kingdom Trail, which has several trailheads on Park Rd 36. Saturday Evening: enjoy dinner at one of the restaurants at the Cliffs or the Harbor. Of course, everything is bigger in Texas, and that includes the parties too! If you want to come and enjoy this yourself, there’s the possibility of renting a boat at one of the marinas. However you’ve only got it for a certain amount of time, and rentals can be pricey. This is an option though! You can just rent a boat, drive it to the cove, and set yourself up for the afternoon or the entire day if you want. Plus, you may get a chance to enjoy the cove during a big weekend like the Red Bull Cliff Diving Competition or for a concert. You Can Use A Kayak At The Marina But A Paddleboard Is Way Better! 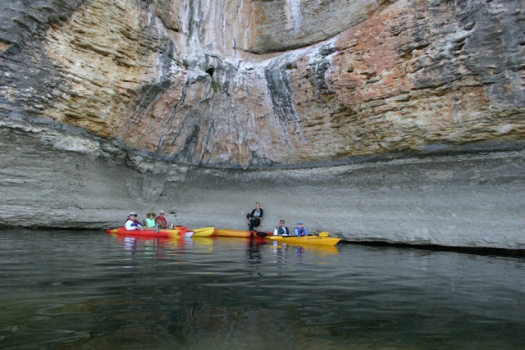 Kayaking is a great way to get around the lake, but it can get exhausting coming from one of the other marinas all the way out to Hell’s Gate. Plus, a SUP rental can be very inexpensive too. You can rent one for the entire afternoon for just $25! We’re also the only company with direct access to Hell’s Gate. Don’t be afraid if you’ve never done this before either. If you have the ability to stand on a coffee table, you can stand on a stand up paddle board. We also offer discounts for groups of 4 or more. Click the image below to learn more about reserving a SUP session. 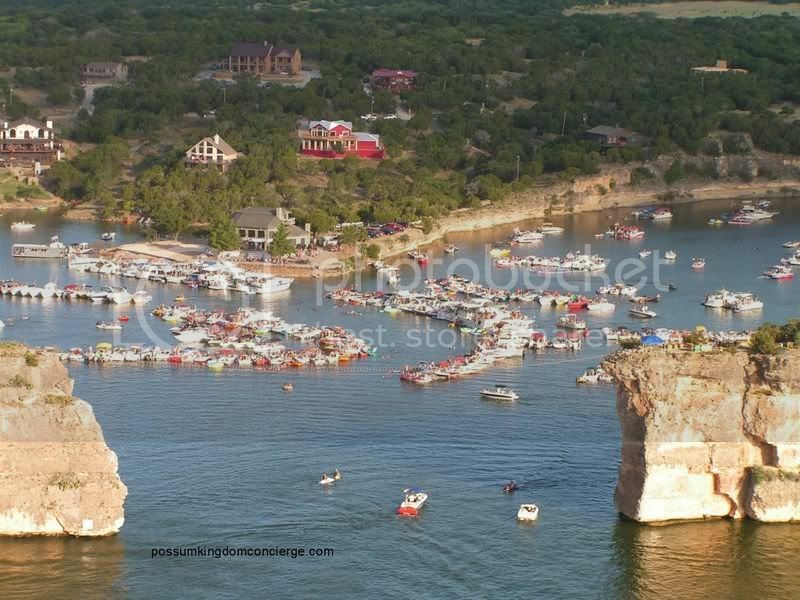 We hope you’ll come and enjoy the lake with us very soon!